One Day Registration is available at the door. $35 each day Friday and/or Saturday. This includes clinics, contest room and vendor rooms. It does not include any meals, patches, or pins. Plan on joining us this coming summer in Wichita, Kansas, for the 36th annual global convention of the Santa Fe Railway Historical & Modeling Society. It will be the first time that any city on the former Atchison, Topeka,& Santa Fe Railway system has hosted the convention a fourth time. Prior Wichita conventions include the organization’s first in 1981, followed by 1993 and 2004. Our theme is the Wichita Express which served the Great Plains between Kansas City and Wichita in the early days of the Santa Fe Railway system and many of our activities and presentations will focus on this, the Wheat Belt of the United States. Our convention headquarters will be the recently remodeled Wichita Marriott East (where U.S. 54 intersects Interstate 35), 7 minutes east of downtown. Call 316-651-0333 and reserve now. We have secured a rate of $93 per night. Or make your reservation on line using the reservation code “Santa Fe Railway.” The hotel provides complimentary parking as well as complimentary airport shuttle service, on request. We will provide transportation for those arriving on Amtrak at Newton. Full registration is $150 for members before May 20, increasing to $165 after that date. Non members may register for $165 before May 20, increasing to $180 after that date. Full Registration includes all activities in the hotel, clinics, banquet and breakfast. The outside trips are extra fare as listed on the registration form. Extra banquet and breakfast tickets will be available, but we must know your intentions no later than June 10, 2016, to ensure an available seat and meal. We will have our traditional large room available for vendors. Six-foot vendor tables are $60.00 ($30/day per table). Vendors need to clear the ballroom at 3:00 p.m. on Saturday. For state sales tax purposes, all vendors must contact the special events assistance center in Wichita at 316-337-6167 or by email. If you have questions, please contact Vendor Chairman Matt Martin. Vendor Tables are SOLD OUT. 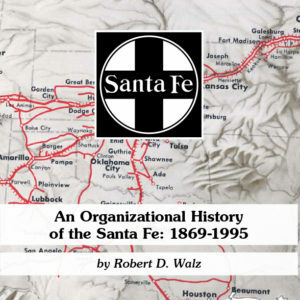 For those that can come early, in addition to the usual convention activities, we are featuring two train rides of significance to Santa Fe fans. Wednesday, June 22, 2016: An excursion out of Abilene, Kansas, behind the Abilene & Smoky Valley Railroad’s former Santa Fe steam locomotive 3415 (a 1919 Baldwin 4-6-2 Pacific rebuilt by Santa Fe’s Topeka shops in 1942) will include tour of the Eisenhower Presidential Library. Ike rode Santa Fe frequently as his wife Mamie preferred rail travel to flying. This trip is $60, lunch included. The trip is limited to 224 persons. Thursday, June 23, 2016: We will have an opportunity to ride a passenger train 34 miles between Winfield and Moline, Kansas, on former Santa Fe track now operated by the South Kansas & Oklahoma Railway. This trip is $75, lunch included and is limited to 224 persons. Friday, June 24, 2016: Spouses’ day out. Our air conditioned trolley tour will take us to the historical areas of Wichita, plus a tour of the Frank Lloyd Wright/Allen-Lambe House in historic College Hill. The trip then continues to newly renovated “Old Town Wichita” for lunch and shopping. Buses will leave around 8:45 a.m. and return around 2:45 p.m. Fares include transportation and two tours. This trip is $35 but does not include lunch. Limited to the first 28 persons. Sold out, but indicate your interest on the registration form. If we have 19 more people interested, we will get another trolley. Adding to the schedule of trips and tours convention attendees will tour the Great Plains Transportation Museum in downtown Wichita where Santa Fe steam and diesel-electric locomotives call home, and where a Kansas barbecue feast will satisfy the appetites of those attending. The transportation museum is located adjacent to Wichita Union Station, which is currently undergoing a $50+ million restoration for use as offices, retail and restaurant space. 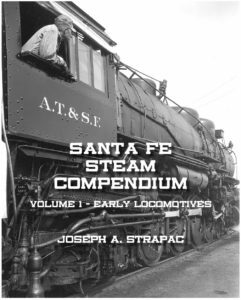 All this and an impressive line up of convention clinics on a variety of topics related to Santa Fe Railway history, equipment, facilities and operations. There will be model railroad and photo contests, model railroad layouts, vendor room and special programs as well as the annual awards banquet and annual business meeting breakfast. Tom Casey – Scratch build a heavyweight passenger car, or, what are you nuts? Railroad activities in the area include the busy BNSF Railway mainline, Union Pacific and Kansas & Oklahoma Railroad, with Amtrak serving nearby Newton. 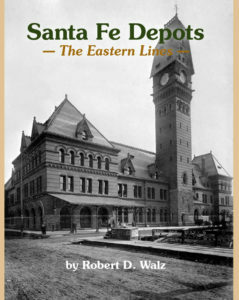 Numerous Santa Fe depots remain for photography and viewing, including Kingman, Pratt, Newton, Halstead, Hutchinson, Florence, Strong City, Augusta, Mulvane, Arkansas City, Winfield (Main Street), Cassoday (in town), Cherryvale, Chanute, Harper, Marion, McPherson and Topeka. Several retired Santa Fe steam locomotives are on display in towns such as Wellington, Newton, Topeka, Arkansas City, Wichita, Kinsley, Atchison, Chanute, Lindsborg, Lawrence, Coffeyville, Independence, Dodge City, Great Bend, and Emporia. See you all in Wichita this coming June!